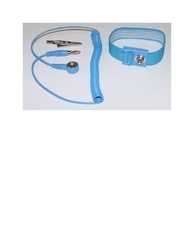 We are the leading manufacturer, trader and Supplier of Electrostatic Sensitive Devices. Our quality controllers stringently inspects these ESD products to ensure flawlessness. These ESD products are widely acknowledged due to superior performance, robust construction, high durability and longer working life. 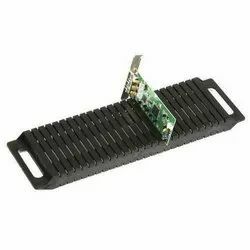 In addition to this, we offer these ESD products in various shape, size and grades at reasonable prices. We are the leading manufacturer, supplier and trader of ESD Wrist Bands. These bands are easy to wear and are skin-friendly in nature. These Wrist Band Supports are very useful to use during exercise and gives required satisfaction. We have gained expertise in delivering a wide range of Silicone Wrist Bands. We are the leading manufacturer, supplier and trader of ESD PCB Rack. These racks are broadly used for storing different objects and are largely in demand in a large number of industries. 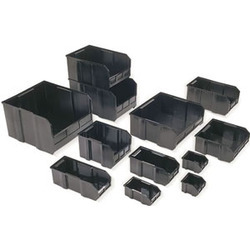 These are used to store various objects and widely demanded in a number of industries. We have designed these racks according to the specific requirements of the clients and industry standards. We are one of the reckoned names in industry, engaged in supplying, trading and distributing a wide range of ESD PCB L Type Rack. We have selected and sourced these racks from some authentic and genuine vendors of the industry; possess rich industry experience and in-depth knowledge of their respective fields. In order to meet the budgetary limits of the clients, we offer our range of products at most affordable rates in market. Antistatic footwear are essential to drain out the human body static electricity safely to the ground. Antistatic Slippers prevent the accumulation of Static electricity and remove any existing static electricity from the body. Various sizes are available, and are very easy to wear. According to the standard ANSI/ESD S20.20-2007 should have the following. 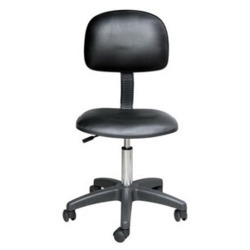 We are the leading manufacturer, supplier and trader of ESD Chair offered by us are well known for their quality and durability. 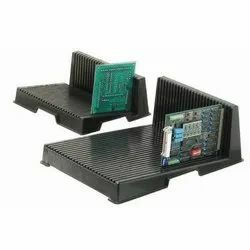 We are the leading manufacturer, trader and supplier ESD Magazine Rack. 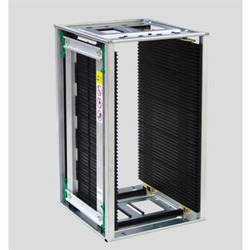 The offered rack is fabricated with the help of finest quality metal and highly advanced technologies. Our offered rack is tested on various parameters by our quality controllers assuring its flawlessness. This rack is used in various industries for keeping articles. Clients can avail the offered rack from us in various customized shapes. We are offering a wide range of ESD Ionizing Blower. Being a client centric organization, we are involved in offering a wide range of Ionizing Air Blower. These are compact sized blowers, small in size and ensure easy portability. 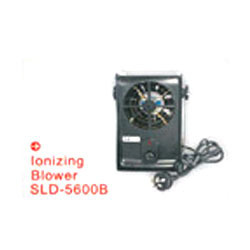 An extensive range of ionizing blowers available with a powerful ionization head and blower. 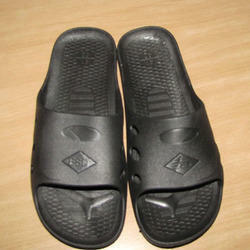 1.Features:anti-staic, anti-skid,anti-oil,wear and breathable,ataic electricity. 2.Dus-free,lomh life,can be reused.100% nylon ensure that environmental non-toxic products to ensure to ensure that raw materials do not have gloves. With the help of our experienced team members, we have been able to provide a wide range of ESD Conductive Bins to our valued clients. Safety stop feature in SB 4-C, SB 5-C, SB 6-C, at the back for use in shelves COLOR - BLACK. Supra Bins are designed to be stacked one on top of each other. On table with our special stands. 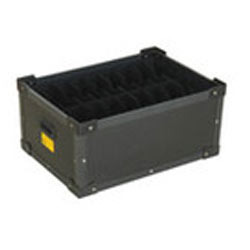 We are the leading manufacturer, supplier and trader of ESD Corrugated Box offered by us are well known for their quality and durability. Is static control a concern in your business processes? 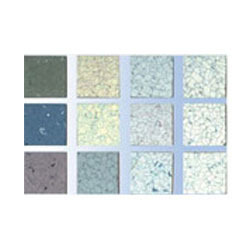 Protective Industrial Polymers offers a complete line of ESD-Control Flooring Systems. 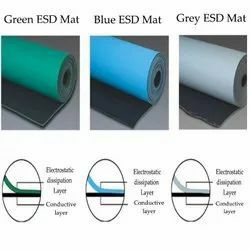 Looking for ESD , Antistatic Product ?